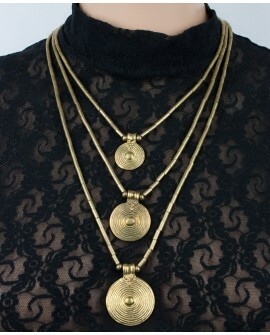 Tribal style brass necklace. Made of 100% brass. This necklace is mixed with wooden beads. 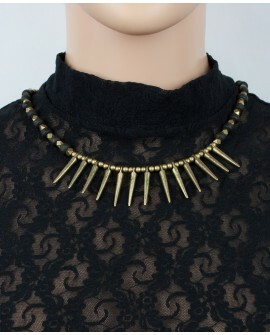 Tribal style brass necklace. 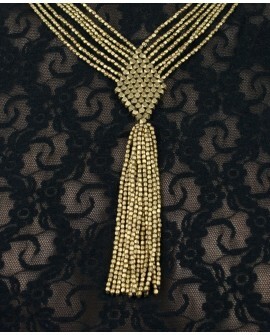 It has braided brass pattern at the front and long beaded brass tassels. Made of 100% brass. 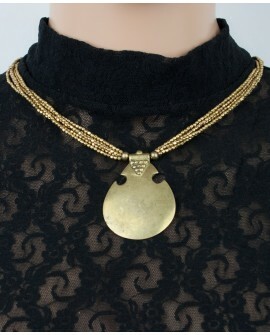 Tribal style brass necklace with a large tribal element at the front. Made of 100% brass. 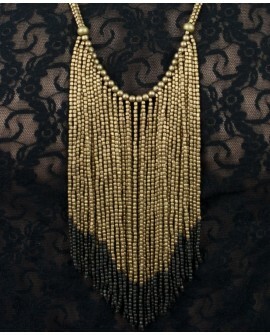 Stylish multi strands beaded brass necklace. Made of 100% brass. Tribal brass necklace with ball at the front and long brass tassels at the front. Made of 100% brass. 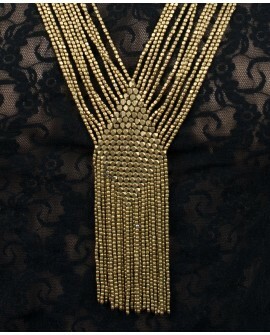 Brass necklace with five beaded strands. Made of 100% brass. 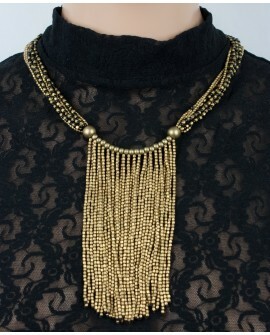 Multi strands brass beaded necklace. Made of 100% brass. Tribal necklace made of beaded brass. Tribal style brass necklace and belly chain. 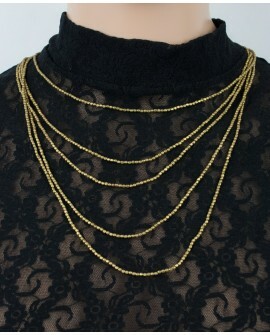 Stylish multi strands brass necklace. Tribal brass necklace with five medium size tribal ornaments. 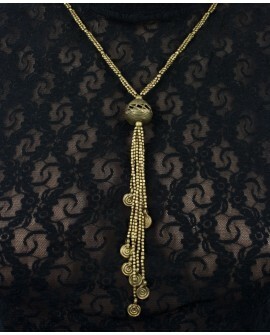 Stylish multi strands brass necklace with long brass beaded tassels. Welcome to EarthyWear, alternative clothing boutique. Being on the market since 2009 we supply friendly travellers, festivalers, party goers and the rest of fluffy crowds in alternative apparel that we happily produce and source around the word. We specialise in bohemian and steampunk clothing and accessories. Goods are securely shipped worldwide from our warehouse in Brighton, United Kingdom. We hope you will enjoy our collection of bohemian dresses, steampunk skirts, vests and tribal jewellery. Our selection of fanny packs and pocket belts will be a great addition to your existing outfit or a must have travel companion in your adventures.